The French language version of this letter is available here. For more information see the Class War Group’s website. A PDF of the English language version available here. For more critical information of Rojava see the article ‘Kurdistan?’(+ enlarged version of this article here), and LibCom’s Rojava page. This letter is not addressed to those militants who surf the net from one movement or struggle to the next, according to the direction of the media, with the goal of constructing a party or an organisation. It is addressed to you, friends and comrades of different cities, with whom we often share positions, and whose critical sense and reflexion we appreciate, but nevertheless with whom we are sometime in disagreement. In particular it is the case of Rojava to which we want to address ourselves. Unlike you, for the past year and a half we have had more than simple doubts about the use of the word ‘revolution’ to describe the situation that is happening in this region. Our doubts are concerned equally with the way in which this ‘process’ is presented and supported in the West. The goal of this letter is not to be exhaustive on this question. Neither is it to ‘shut-down’ your positions or to try to convince you of the contrary — especially not by stringing together into a different reading sources and references you already have access to, nor by using examples of Russia 1917 and Spain 1936. Our goal here is to lay the foundation for a debate, and to avoid some readers enlisting in and enclosing themselves in a war of positions, which would be regrettable. For us what seems to be in question is the way we perceive a particular movement or situation, and the manner in which we judge and treat them across differences in analysis and geographical distance — differences between discourse and concrete situations. Just as with our engagement in our immediate struggles (which are always partial and often reformist or defensive), our positions on struggles taking place thousands of kilometres away depend neither on a particular norm or of a sense of revolutionary ‘purity’, nor upon the application of pre-established models. Our goal is not to reject this or that movement because they do not appear radical enough, but rather to examine the contents, above all from the perspective of class relations. The experience in Rojava should not be treated differently. Like all social situations in the capitalist world, this experience is also entangled in class contradictions. Although such situations may be difficult to measure, to know exactly who is involved and what the dynamics are, certain questions must be proposed: What are the transformations which are taking place? Where are the main contractions crystallising, and who are the main figures involved? What relations of power have been established? What contrast is there between discourses and genuine interests? Between our desire for revolution and the limits which they encounter? What about the proletariat? What is our vision of revolution? And etc. The ‘revolutionary experience’ of Rojava is often presented as being confronted by general hostility and threats from ‘fascist’ and imperialist armies of the region, if not from the entire planet. Let’s remember first of all the agreement of non-aggression in 2012 which confirmed that the armed forces of Rojava and those of Damascus cohabited peacefully (except a few rare clashes) and even sometimes tactically collaborated (battle of Al-Hasakah in 2015, Aleppo and the Azaz corridor in 2016), in addition to the quasi co-administration of certain areas (Al-Hasakah or Al-Qamishli). An agreement which fed many debates and polemics. In 2014, some militant revolutionaries protested in France so that Western military forces would provide air-force support and the supply of arms to the YPG. At this time they proposed to collect a few thousand euros in support of the YPG, notably for the purchasing of arms. Since then the United-States, followed by other states, has delivered them tonnes of arms and ammunition. The militant revolutionaries are aware of it, but reproach the West for not providing the YPG with heavy arms. On the ground, the military campaign forming a territorial continuity between the cantons of Kobane and Jazira (October 2014 to June 2015) has demonstrated the close collaboration between the YPG and Western air forces (and inevitably also with US Special Forces on the ground). Thus in a political and military alliance (known as the SDF) the YPG has surrounded themselves with several groups of armed Arabs whose libertarian character we can doubt. The battles from February to March 2016 around the Afrin canton have demonstrated that there exists at the very least an operational coordination between the YPG, the Syrian Loyalist Army and the Russian air force. That being said, some rebel groups up until then allied with Al-Nusra (the Syrian branch of Al-Qaeda) have on this occasion decided to join the SDF as well. Given such alliances, a much larger territory has been taken under control in addition to greater population diversity. The ‘pragmatism’ of the Kurdish command is in no danger of being dropped. With regards to their diplomatic agenda, the representatives (sic) of the YPG are regularly sent to Western countries with the goal of establishing new contacts. The days in which they were represented as totally isolated, as victims of their revolutionary position (despite their commander being received at the Élysée Palace) have passed. Their presence at the negotiations in Geneva was prevented by the efforts of Turkey, whilst Russia’s presence there was favourable. Since then the government of Rojava opened a diplomatic representation in Moscow in February , which was the occasion of a lovely little celebration (ditto in Prague in April). From a political, diplomatic and military point of view the leadership of the PYD/YPG (wooed as much by the United-States as by Russia) has known how to opportunistically play its cards right, that is to say, reinforce its political weight by obtaining military support and quasi-international recognition. With respect to media support, it is very widespread and particularly positive. In France, the combatants of the YPG (and above all those of the YPJ) are presented as models of courage, of feminism, and of democracy and tolerance. Such is the case with ‘Arte’ to ‘France 2’, passing by ‘LCP’. Likewise with the Radio, where from ‘Radio Libertaire’ to ‘Radio Courtoisie’ and ‘France Culture’ one hears the praises of the combatants of freedom. It is logical that the PYD looks for support and that it takes advantage of communication services and efficient propaganda, but this nevertheless raises questions. Indeed the PYD presents itself to the world as the stronghold of democracy, a responsible collaborator, and a champion of the struggle against terrorism and Islamism. Is this a camouflage? Have the diplomats and soldiers of the imperialist countries been consciously swindled the whole way over these years? Has imperialism so little awareness of its interests that it tolerates, even supports in Kobane a ‘revolutionary process’ in the making, with direct democracy, ‘equality of the sexes’, ‘self-management’ of resources, etc. — all the things that they evidently forbid in London, Paris or Chicago? Is there no other choice for the West? The resistance of the Kurds in the ruins of Kobane has touched the planet and brought about a wave of international support. 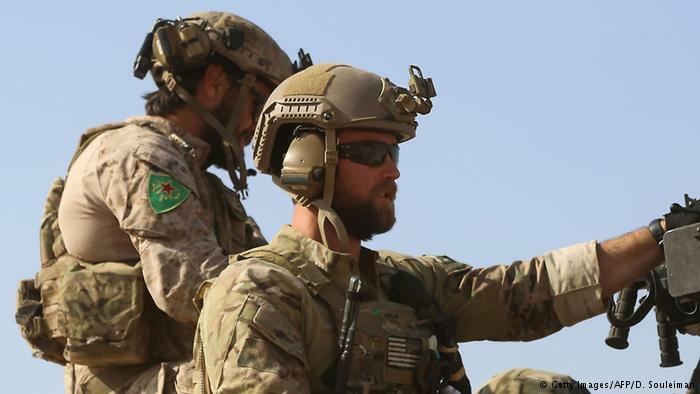 As a result, the YPG has achieved – thanks to the US and Russian air forces – a long series of victorious offensives, permitting Kurdish control over a vast territory. Enthusiastic fighting or political will? The YPG cannot escape the general criticism that one can make of any army on a campaign: villages raised to the ground, populations displaced, Arab homes torched, unpopular police, conscription, youth without legal identity papers forcibly sent to the barracks for military service, etc. The Syrian organizations opposed to the PYD (sometimes Kurds themselves, and generally members of the SNC) regularly denounce these abuses and errors. Indeed international human rights organizations have confirmed some of these abuses but recognize that amongst the belligerents of the region it is the Kurdish militants least of all that we can reproach for these kinds of actions. With respect to the authorities of Rojava, they recognize a part of these ‘abuses’ or ‘flaws’ and have promised or put in to place inquiries and corrections (for example, on the enrolment of child soldiers) with the goal of responding to Western standards of democracy, human rights and the conduct of war. Incidentally, the creation of a ‘genuine’ army has recently been announced (the Autonomous Protection Forces, APF). It is difficult for us to see in these ‘misbehaviours’ the work of proletarians confronting the difficulties of concrete struggle… it is rather the necessities of war which explain the ‘errors’ of the YPG combatants. The present situation in Syrian Kurdistan finds its origins in the defeat of the Syrian revolts in 2011, in the evolution of a regional situation marked by military chaos, and in the dynamics of the Kurdish Nationalist Parties (both in their specific interests and in contradictory alliances). The PYD, a Kurdish organization, is the political force which has imposed itself in this zone. Its discourse is not that of the nationalism of former times, that of the PKK. In reality the vocabulary has changed. The cadres and militants of the PYD-PYG do not seem to be very aware because their remarks are still tinged with Kurdish patriotism, boasting about the special qualities of their ‘people’ to the ‘millennial’ culture — rebellious ‘by nature’, etc. The fact is that the question of the people and of Kurdish identity (their language, culture, history, customs etc.) remains inseparable from the political project of Rojava. Much like its territory, Kurdistan — that is, the zones defined as having been at some stage populated by a majority of Kurds. And even if the Kurdish leaders are very insistent about the protection of ethnic and religious minorities (in speech and in their Social Contract), they do this as representatives of the majority. The project of the PYD is thus presented on the one hand as not specifically Kurdish and on the other as being applicable to both Syria or to the Middle East together. Incidentally the YPG has conquered zones around the cantons of Kobane and Jazira, where Kurds are the minority. Nevertheless tensions between the Arab population and militant Kurds still remain. This territorial expansion, in addition to the necessity of recruitment, of war and of propaganda, explains why the YPG has integrated Arabs into their ranks, fostered the creation of ethnic unities or specific religious groups (Syriac speaking, Yazidis) and why they have allied themselves since October 2015 with Arab militia (in the heart of the SDF). We will note in passing that the PYD (the Syrian branch of the PKK) was once known for its authoritarian character, but this has apparently changed. For the moment let’s accept this. However it should be noted that this type of organization, which would normally suffer the attacks of anti-authoritarians, has in fact benefited from a strange goodwill. Perhaps it is because the PYD has announced its desire to challenge the power of the state and to assist in a sort of modernization of the old theory of the ‘withering away of the state’ [dépérissement de l’État], of its police and its army. As the PYD itself argues, the organization is in the process of constructing in Rojava a political and administrative autonomous region whose philosophical inspiration is derived from the works of Murray Bookchin, and whose juridical inspiration is found in the international treaties of civil and political rights. This structure would ultimately aim to overlap with the Syrian state, which would recognise the legitimacy and integrity of its borders. In fact this is what is proclaimed in the Social Contract and by the leaders of Rojava, that which the major powers are discussing, and which seems to be concretely taking shape. Since 2012-2013 the Rojava administration has been strengthening and normalizing itself, its justice system and police, and perfecting its training and army (notably in the most protected cantons up till now, Jazira and Afrin), thus assuming a number of responsibilities which up till now were reserved for the Syrian state. Nevertheless, one should note that in the case of a definitive rupture with Syria or the declaration of independence, the administrative structure put in place in Rojava would be almost completely that of a state (what would be missing of course is monetary sovereignty). On the one hand what we are dealing with is a popular movement of revolt, of resistance, of self-defence and of survival in a situation of war. On the other hand there is the implementation of the project of the PYD, which in theory combines centralized power (based on Western democratic models) with local self-organization of daily affairs. The question remains as to how these two projects link together, and what this corresponds to — concretely on the ground. A friendly and warm atmosphere with lots of details, and spontaneous discussions in full freedom (rare things in this world). Little about the economy, other than that the disruption of capitalist social relations has been postponed, and that private property has been sanctified by the Social Contract. At best, a handful of agricultural cooperatives are alluded to. The information on the democratic functioning of Rojava, such as it can be read on Wikipedia: almost nothing, just one or two modest examples of the actual functioning of hundreds or thousands of popular assemblies supposedly covering the country (in the villages and the suburbs). But let’s put it simply: if in a given district the inhabitants meet up each week to discuss and decide to create a collective vegetable garden, or to repair a street or construct a meeting space, and can find the financial support within a comprehensive municipal administration, this is very great thing for them. Let us note however that it is not in this manner that political, diplomatic and military decisions are made. The inauguration of a formal equality between men and women. The fact that women participate in discussion and in combat would be a shock and would lead to inevitable modifications in the social relations between sexes. Here as well we can ask ourselves what the real scope of this phenomenon is beyond the propaganda (particularly strong on this question), from which large sections of society seem to escape. Ditto on the perhaps caricatured vision of the situation of Kurdish women in Syria before 2012. It would be particularly surprising if the PYD or the administrative organization of Rojava were to organize their own disappearance in favour of an assembly of popular assemblies, considering that the dynamic of an organization is above all to insure its own survival, role and power. If in the end a democratic regime is in place in this region, drawing its inspiration from Western models but with a dose of local consultative assemblies, it would be a great innovation for the region, and a much lesser evil for its inhabitants. The PYD would be without doubt hegemonic for a long time in the region, but in time things could change. Is this a pessimistic or and optimistic vision? We hear of a popular dynamic, admittedly paralyzed by war, but nevertheless one that could reappear again, later. We are told that it is necessary to remain hopeful and above all to believe that humanity (or the proletariat) will emancipate itself by making war first and only afterwards the revolution. This seems crazy to us. This is the choice allegedly made by the PYD, and which corresponds to the old ‘revolutionary’ schema (the classical transition phase that is limited to a ‘political revolution’). We do not believe that the revolution (this great upheaval that will abolish class society) can follow from a list of strategic choices to be made in the correct order. We don’t know what the revolution will be like, but without denying its likely violent character, permit us an affirmation: the revolution will not be a military confrontation, a series of victories of the proletarian army (postponing till tomorrow the radical transformations of society) over those of the capitalists. Revolution is not war. And if occasionally periods of war can lead to political destabilization — generating tensions and social decomposition — it is on the contrary no longer the case here. It does not seem to us suitable to use the word ‘revolution’ to describe the situation in Rojava, unless you use the fashionable and accepted sense of the word, emptied of meaning and rendered innocuous. Not ‘revolutionary process’ either, even if it is only ‘potential’… because why would there be more potential here than in China or Algeria? In Rojava it is war that dominates — a popular war if you want — but war all the same. We are thus faced with the question of support. Who are we to support? (Beyond a supposed millennial ‘people’, exempt from class division and by its very nature revolutionary?). Are we to support the ‘movement’? The ‘struggle’? The ‘proletariat? How does this translate itself concretely? The most pertinent thing would be, as in most cases, to struggle locally against our own bourgeoisie — but we already know what this is all about. Thus, beyond the symbolic, what solidarity is possible from 4,000 km away? So far the most involved and enthusiastic revolutionary militants have above all praised the merits and actions of the YPG-YPJ, the armed branch of the PYD (even occasionally omitting the acronyms). If there has been support, hardly critical and above all financial, it is to this organization that it has gone (or eventually to the structures which it controls). And it is here that we believe there is a major concern. This party which dominates the political scene of the region and pretends to represent the interests of the Kurdish ‘people’ is the force which is currently structuring the society. Thus it would be completely illusory to hope to support one radical tendency against another moderate one in the heart of the PYD. It would be equally illusory to support a regime in the hope that autonomous proletarian action would overwhelm it. As you know, or as you have understood — and to say it bluntly: we think that the administration which is being put in place today in northern Syria guarantees in this zone the tasks of a failing state, preserving from chaos the foundations of capitalist society (value, wage labour, classes, private property, production). And tomorrow, from the bases negotiated between Rojava and the United-States, this society will assure order, and will manage the population and classes. As progressive as such a society may be, it is surely this administration which will thus be confronting Kurdish and Arab proletarians. The forces which will repress them will be the Asayish, and if necessary the YPG. On this perhaps abrupt ending, but in expectation of your responses, we send our kind regards. [Translator’s note] Unless otherwise noted all footnotes are by the original authors. [Translator’s note] Ngo Van, Preface to In the Crossfire: Adventures of a Vietnamese Revolutionary. Quote taken from the Preface of Ken Knabb’s translation. Translation modified. “We” and “you” refers also to an ensemble of loosely associated, more or less formal groups and organisations of individual anarchists, libertarians, Marxists (non-Bolshevik), autonomists etc. who form the so called ‘radical’ or ‘revolutionary’ milieu in which we are more or less taking part. We do not possess the blueprints for a ‘pure’ revolutionary process, and believe neither in the existence nor the possibility of such a blueprint. [Translators note] YPG – Yekîneyên Parastina Gel or Peoples Protection Units. The United-States opposes this, arguing that they could be used by the PKK against the Turkish army. [Translators note] SDF – Syrian Democratic Forces. Syrian National Council, notably supported by Turkey and Saudi Arabia. [Translators note] PKK – Partiya Karkerên Kurdistanê‎ – Kurdistan Workers Party. One could be tempted to say that these words perhaps don’t have the same meaning everywhere. In France, this type of discourse would at least be qualified as ‘reactionary’. The Social Contract is the constitution of Rojava, adopted the 29th January 2014. [Translator’s note] The French here, ‘dépérissement de l’État’ is literally ‘supersession of the State’. ‘Dépérissement’ is the French word used to translate Hegel and Marx’s ‘aufhebung’. David Graber reports the testimony of the director of the Police Academy of Rojava, the Asayish: “their ultimate aim was to give everyone in the country six weeks of police training, so that ultimately, they could eliminate police”. [TN: David Graeber and Pinar Öğünç, ‘No. This is a Genuine Revolution’ (2014)]. Another crucial question is this: this process, does it follow on from the protests of the Arab Spring in 2011, or on the contrary has it in fact put an end to them, by substituting for them the political project of the PYD which descended from the mountains after the departure of Assad’s troops? The self-management of one single factory in Rojava has already been the object of a dozen articles and the cover page of several militant papers. But there is not just revolution in life. Admittedly our point of view leads us to see in each struggle the concerns of class struggle. But if it is theoretically always possible, is it always necessary? There are causes which have nothing revolutionary about them, which are humanitarian and humanist and which can be supported; ecological or reformist struggles in which we should be able to participate without shame; immediate necessities which occasionally can find responses which are not Marxist or Anarchist. And this is no big deal. [Translators note] That is, the combined Peoples Protection Units and Women’s Protection Units. Incidentally, we think that if such an organisation made its appearance tomorrow in France, with the same program, we would be (you and ourselves) amongst the first to denounce its danger — and to suffer its repression. And what about the deserters, those dodging military service in Rojava? In fact we find some of them amongst the migrants who today are seeking refuge in Europe. It is unlikely that they will demand support from those who help the army that they have fled! A place of Syrian opposition, equally opposed to the PYD, signalling in autumn of 2015 the first protest against conscription in a city of Rojava. [Translator’s note] The ‘Asayish’ are the police force of Rojava. This entry was posted in Critique, Translation and tagged anarchism, anarchists, anti-authority, Arab, Asayish, Class War Group, Dave Graeber, democratic revolution, guerrillas, In the Crossfire: Adventures of a Vietnamese Revolutionary, Iraq, IS, Islamic State, Kurdish, Kurdistan, Kurds, nation state, national liberation, national liberation movement, national liberation movements, nationalism, Ngo Van, Pinar Öğünç, PKK, Police, PYD, Rojava, SDF, Syria, Syrian civil war, T.K.G.V., TŘÍDNÍ VÁLKA, US Special Forces, YPG, YPJ. Bookmark the permalink.